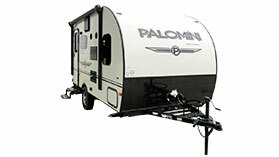 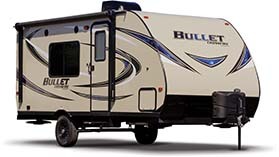 Mini travel trailers are affordable, lightweight RVs that can be pulled by most vehicles. 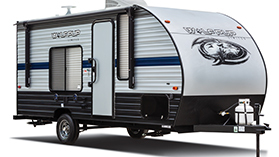 Minis offer lots of standard features found on large RVs, with a lower price tag and better gas mileage for the towing vehicle. 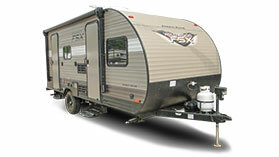 The Wolf Pup is an economical Mini Trailer for couples or families.